Join us for a fabulous European Adventure, featuring the Solemn & Majestic Reverence of the Beaches of Normandy, the Magic of Paris; the serenity and beauty of Lucerne Switzerland, and the charm and color of Venice, Milan, Florence, Pisa, and Rome, Italy. 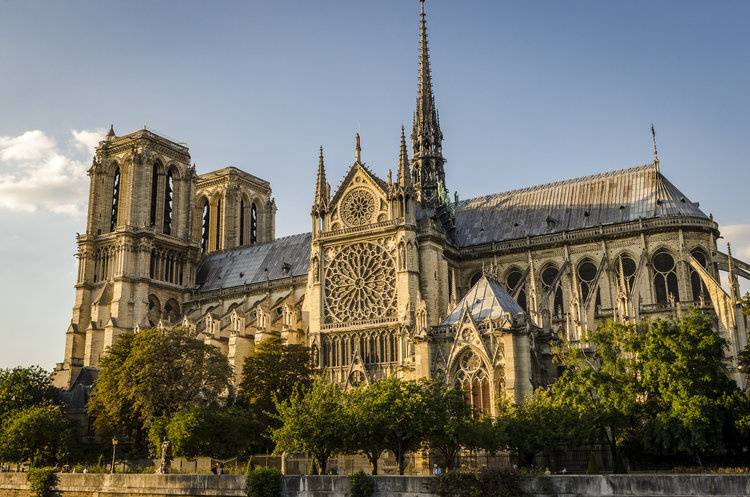 Come along with Fred & Carol's Traveltime Group and embrace the history, culture, art and romance of our Custom Private European Splendor produced jointly by Fred & Carol's Traveltime and Marc Kavanagh's Journeys Connect. European Splendor includes 11 nights hotel accommodations in 3-Star or better Hotels; Breakfast each morning, and eleven three-course dinners; English speaking Tour Manager during the entire tour; whispers head phones throughout, hotel porterage for one suitcase per person; visits and excursions per itinerary. What's not included: all lunches, travel insurance, incidental purchases, driver and guide gratuities, and international airfare. We estimate airfare of $1500 per person. Gratuities are at your own discretion. Tipping guidelines: Tour Manager $5 per day, Bus Driver $5 per day, Local guides $5 per event. Early Booking Bonus of $100 per person when deposited by July 2, 2019. Group Travel Protection with Travel Insured International $388 per person insuring land and air. Payment #1: $500 per person plus Insurance of $388 if option is desired. In order to waive pre-existing conditions, pay insurance premium at time of deposit or within 14 days of deposit. Payment #1 must be received at our agency by September 1, 201o9. Remember Early Booking bonus if received by July 4, 2019. Payment #2: Final Payment, land and air, June 19, 2020. No refunds after this date except by covered insurance claim. Group Airfare will be announced November 2019.